The 3D web moved closer to reality as Mozilla, the developer of the Firefox browser, joined forces with graphics consortium Khronos. Khronos has set up a working group to create a standard for what it calls accelerated 3D graphics on the web. It could lead to widespread browser-based gaming as well as creating 3D environments in social networking sites such as Facebook and MySpace. The aim is to produce a first public version within a year. "For a number of reasons, I think now is the time to .. figure out what an initial take of 3D on the web should look like," said Mozilla's infrastructure engineer Vladimir Vukicevic in his blog. adding 3D to this mix ensures that current web applications can experiment with new user experiences, while also enabling new classes of web applications," he said. 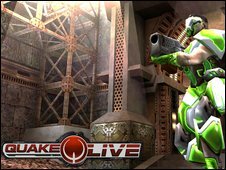 Browser-based games are beginning to take-off and, in February, classic game Quake III was re-released specifically for the browser. 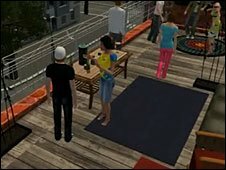 A 3D-enabled web could provide a kickstart for virtual world games such as Second Life thinks Paul Jackson, an analyst with research firm Forrester. "One of the things which puts people off virtual worlds is that it requires users to make very big downloads to install the games," he said. Having them available directly from a web browser would eliminate this and have much wider implications for non-gamers. "Social networks could create 3D chatrooms and retailers could provide proper 3D visualisations of their products," he said. "If you think about the traditional browsing experience of flat pages and links this is not a natural way to interact. People are much more used to walking around and picking things up so a 3D browser could lead eventually to a more naturalistic way of interaction," he said.